From 1978, he was a prominent Chicago gay and lesbian community leader and a mainstay of the Illinois Gay and Lesbian Task Force. He helped to initiate the first sensitivity training on gay and lesbian concerns for the Chicago Police Department and developed gay and lesbian counseling materials for Illinois public schools. Born in 1944, he died in 1995. Al Wardell was born in Gary, Indiana. He earned his Bachelor of Science in Education from Indiana University in 1967, and from 1969 through 1988, Wardell was a teacher in the Chicago Public Schools. 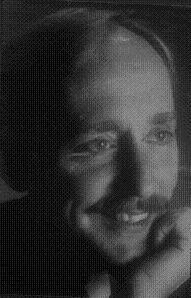 Wardell made a concerted effort to work for only one organization, the Illinois Gay and Lesbian Task Force [IGLTF], during most of his “career” [1978-1990] as an activist. Additionally, he was the Executive Director of the Frank M. Rodde Fund from August 1990 through December 1991. Al Wardell joined IGLTF in 1978, four years after its founding. At his second meeting, he was “drafted” to fill the vacant position of Secretary; thereafter, he was an officer and board member for 12 years. There is not one project with which IGLTF dealt [during that period] of which Wardell was not a part. In 1978, he worked to stop the media from referring to mass murderer John Wayne Gacy as a “homosexual murderer.” The next year he worked on testimony for the first Chicago City Council hearings on a gay and lesbian rights ordinance. Also in 1980, he succeeded in convincing the Chicago Police Academy to begin seminars on the gay and lesbian community as part of cadet training; over the years, Wardell conducted many of these personally. During the mid 1980s, Al Wardell initiated IGLTF’s first meetings with the Chicago Tribune, the Chicago Sun Times, and Chicago Magazine to campaign for responsible press coverage of the gay and lesbian community. These contacts continued on a regular basis, and the result of Wardell’s lobbying activities was the creation of “gay and lesbian” beats at both of Chicago’s major daily newspapers and the assignment of reporters to them . Throughout the decade and beyond, Wardell himself articulated the needs of our community on television and radio, and in countless public meetings and appearances. In 1983, he initiated IGLTF’s Prisoner Support Project to address the unique problems faced by gay men and lesbians who are incarcerated, and during the next year he secured for IGLTF the appointment of a liaison within the Chicago Police Department. Later in the 1980s, Wardell worked with Horizons Community Services, Citizens Alert, and the Mayor’s Committee on Gay and Lesbian Issues on a formal proposal for police to keep track of bias crimes against gays and lesbians. Wardell has been the recipient of the Independent Voters of Illinois and Independent Precinct Organization’s Glynn Sudbery Award  and IGLTF’s Human Rights Achievement Award . He was named Pulitzer-Lerner Newspaper’s Citizen of the Year in 1989, and also was inducted into the Gay Chicago Magazine Awards Hall of Fame. In 1991, Wardell was again honored by Gay Chicago Magazine, this time for his work with the Frank M. Rodde Fund. In 1992, he was the second Chicagoan to win the prestigious Stonewall Award, presented by the Paul Anderson Prize Foundation, for his years of work in bettering the quality of life for gays and lesbians.